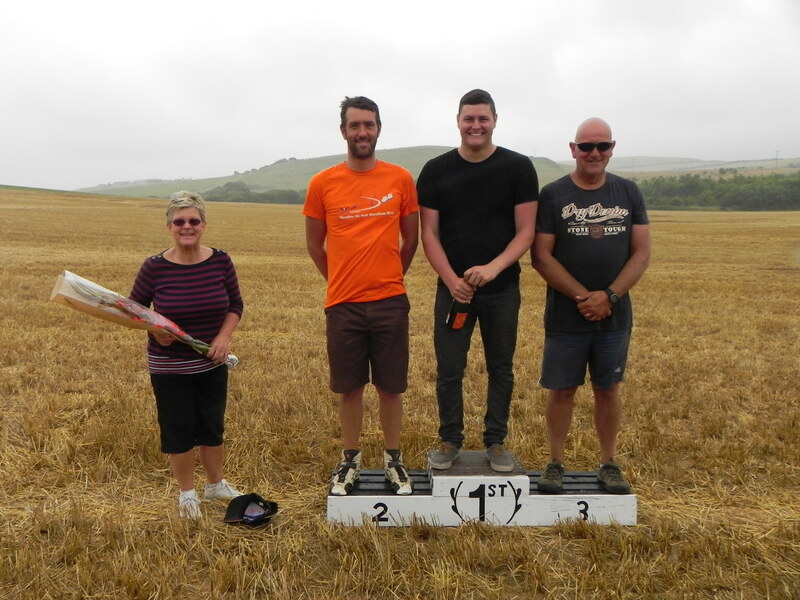 18 drivers competed in round 8 and the 5th Unsealed surface event of the Isle of Wight Car Club’s season, held at Knighton sand pit. This active sand quarry requires drivers to twist their way around piles of sand, rock and even giant digger buckets. Unlike other venues remembering the course is not often an issue thanks to the many landmarks, however, deep sand, loose gravel surfaces and even a water splash prove challenging enough for many competitors. The battle for the fastest lady of the day was fought between Sue Mitchell driving her normal every day car, a Fiat Seicento, who finished 3rd, Kelly Read in her Mx5 who claimed 2nd and today’s fastest lady and 11th overall Marion Brett in her classic Mini. In the unmodified classes Ricky Shepherd as usual astounded onlookers by driving his standard class 1 Rover 45 to not only win class 1 but place 8th overall. Tony Long drove very smoothly in his standard Mx5 to place fastest class 2 car and 10th overall. Modified cars make up classes 3 and 4. Steve Brett, despite being stuck in the sand earlier in the day, pushed his classic Mini hard and at one point was in 4th place overall but had to settle for fastest class 3 and 7th place overall. Dan Morgan literally waisted no time when attempting to perform the perfect lap, on one occasion he abandoned his run after glancing at the trackside lap timer and noticed he was down on his best split time. This attention to detail bagged fastest class 4 and 4th place overall. Respect has to go to Danny Grist who despite being in a class full of turbo four wheel drive Subaru Imprezas drove his front wheel drive Peugeot 205 to 6th place overall. Class 5 is for single seater specials or for cars that do not fit in any other class and it was class 5 that ended up monopolising the podium. Andy Williams opted to miss his final 6th run of the day due to having a bad back, but his 5th run was enough to stand on the 3rd step of the podium. Will Thomas’ day was bookended by bad luck, his first 3 runs were plagued by penalties for touching cones and his 6th and final attempt to stand on the top step was halted by a mechanical failure. Running away with the unsealed championship, Chris Wilson drove a penalty free day and sprayed the champagne after delivering the fastest overall time. 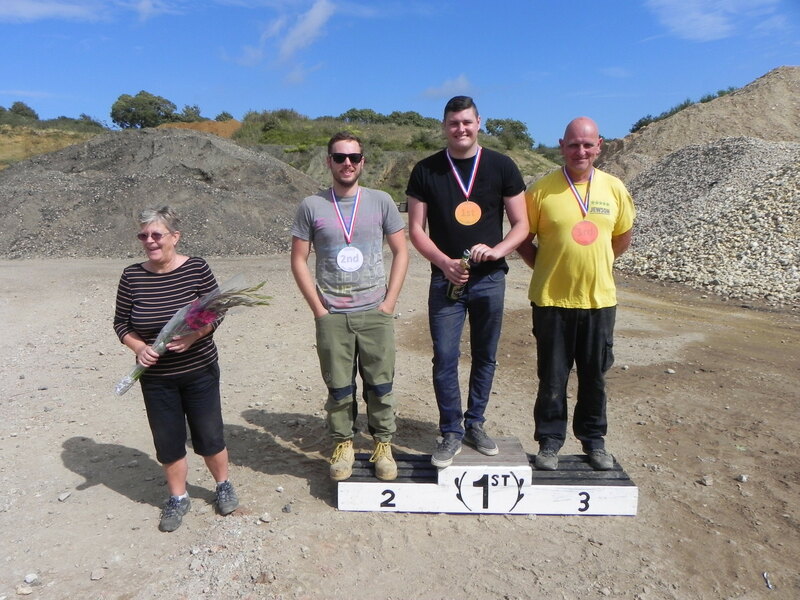 Inspired by the Olympic games held in Rio drivers were also awarded with novelty bronze, silver and gold medals by Isle of Wight Car Club chairman Malcolm Smith. Unfortunately the farmer of Haslett Farm is unable to harvest the crop in the field we intended to use for round 8 on the 21st of August 2016 unsealed surface event. This means we cannot use this venue on the intended date. However we have been able to secure Knighton Sandpit so, same time, different venue. 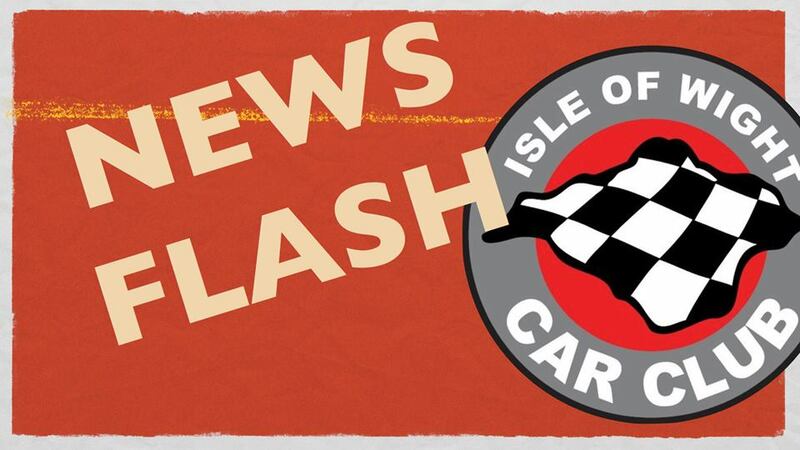 Unfortunately our non championship drift event scheduled for the 7th of August has had to be cancelled due permit issues for running this type of event. we can only apologise for any inconvenience, but be assured our usual events are running as normal. The amazing thing about competing on an unsealed surface is you never know what to expect. Haslett Farm offered a freshly cut stubble field and has only been used by the club twice before, once when it was raining and once in the dry. Despite the weather lady predicting clear blue skies, 26 drivers arrived at the West Wight venue to find a sky full of drizzle. An unsealed surface forward only autotest is the same as a sealed surface (tarmac event) but on a loose surface. Drivers have to remember a course created by traffic cones and drive around it one at a time without hitting a cone or getting lost. The driver with the fastest time of the day wins. As with any normal event it takes a few attempts to remember the course and with the damp stubble most drivers took advantage of the lack of traction to drift and learn how to control their cars in a slide. Despite these conditions Chris Wilson set a blistering first run of 1:00:34. This not only set one of the fastest times of the day but created a path in the field for everyone else to follow in his single seater special. By mid-morning the sun came out and tried the exposed soil creating some spectacular dust clouds. However, with the added grip cars started to fail, Kevin Richardson in his MX-5 rolled a tyre off its rim, Alex Spencer, who made the trip down from London to compete, missed out on his third run due to a clutch hose leaking on his Mx-5 and Collin Kill had a problem with the wheels on his diesel Golf. The list of mechanical failures also affected the ladies’ battle. Kelly Read was sharing Alex Spencer’s MX-5 that had the clutch problem. Sue Mitchel’s car broke a cam belt destroying the engine leaving Marion Brett as the sole remaining lady who finished in a very competitive 12th place overall in the Mini she shares with Steve Brett. Round 4 saw Chris Wilson break the 1-minute barrier with a 0:58:77 and although many other drivers increased their times by the end of the day not even Chris could improve on this time. Only Dan Morgan joined this exclusive sub minute club with a time of 0:59.86 allowing him to claim the second step of the podium and he was joined by Andy Williams in 3rd. Chris Wilson now leads the unsealed surface championship with 100 points, however, both Will Thomas and Dan Morgan are close behind with 98 points each. The next Isle of Wight car club event will be back at Haslett Farm on the 21st of August. please visit the club’s website www.iowcc.co.uk or follow them on Facebook and Twitter for news updates.